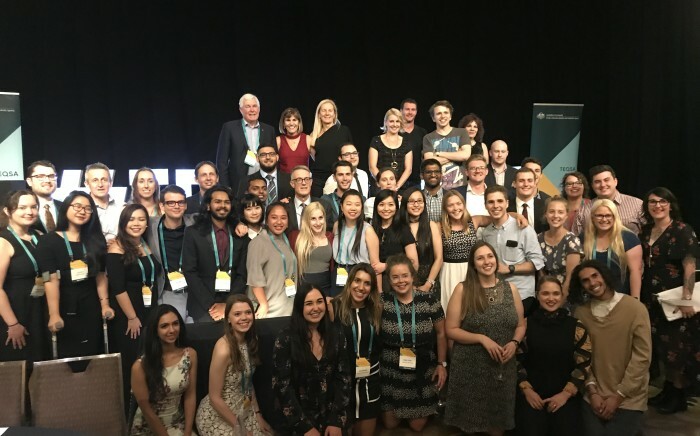 JCLA Mentor and Curtin student, Jane Ong talks to us about her journey in completing Public Health Honours, and provides advice for those considering the leap into postgraduate research studies. What interests you about your Honours year studying Public Health? I am passionate about helping people who are less fortunate and I want to be involved in making a difference to people’s lives. With the belief that education is the key to doing this, I chose to undertake an Honours year after completing my Bachelor of Nutrition degree. My Honours research examines factors associated with the changes in blood pressure after eating a meal. Contradictory to most studies which examine high blood pressure, my focus was on low blood pressure and the examination of a new hormones – fibroblast growth factor 21. What have you enjoyed most about your Honours year? Honours year is about discovering yourself, getting into good habits and being responsible for your own actions and choices. I was able to do this through self-discipline, time management, project management, as well as building good relationships with peers, supervisors and the people in faculty.What I love so much about getting involved in research is the ability to translate your findings into real actions and/or policy. What advice would you give to students considering an Honours year? My advice for students considering Honours would be to choose your supervisor wisely. I had the opportunity to work with one of the most respected academics in my field, Associate Professor Mario Soares. I am also part of a very supportive team with Professor Christopher Reid and Dr Kaveri Pathak. All of them have been instrumental in the completion of my Honours project. Therefore, my advice to students is to look for someone who is supportive but also professional. Have you volunteered for any organisations directly relating to your field? I work as a Laboratory Assistant in the School of Public Health. I am heavily involved in Foodbank as a student volunteer to assist Dietitians in the WA Food Sensation Initiatives. It is a nutrition education program to both children and adults to improve knowledge, attitudes and skills around healthy eating. I have also volunteered for Cancer Council as a recipe tester; here, I provided constructive feedback on recipes to help the Cancer Council meet their goals in encouraging people to eat a healthy diet. Tell us a bit about you goals for five and 10 years’ time? Next year, I will be starting a graduate role at WA Health (Department of Health) in the general corporate stream. I am particularly interested in the job as I will be able to work behind the scenes and be involved in the public service, working at a level which has the ability to affect the health outcomes of the WA population. Jane recently attended the Tertiary Education Quality and Standards Agency (TEQSA) Conference in Sydney (pictured above), where she had the opportunity to discuss higher education reform with policy makers, higher education providers and peers. We asked Jane a couple of questions about her experience. How did you come to be involved in the conference? I first found out about the conference through the JCLA Coordinator at Curtin; I’ve been heavily involved with the program this past semester as a Mentor and I felt like it was a good opportunity to engage with. I was selected by the Vice Chancellor, and from there I had the opportunity to meet with various leaders, policy makers and very inspiring students. How would you describe what TEQSA does to a fellow student? TEQSA is “an independent national quality assurance and regulatory agency for higher education.” And the theme for this year’s TEQSA conference was quality, students and success; which explains the reason why students were invited to attend the conference. It recognises the importance of student involvement in higher education changes. I think as a regulatory agency, TEQSA is a great platform which encourages policy makers, higher education providers and students to come together and discuss important feedback and to make necessary changes. My key takeaway from the conference would be that the quality of dialogue and the level of collaboration between higher education providers and students needs to substantially improve. Engaging in consistent and clear communication to create a two-way conversation would assist in identifying and investing in the interests of both students and higher education providers.